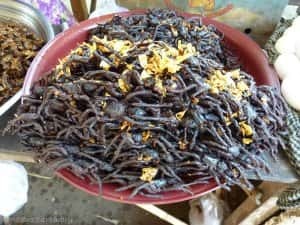 The things people eat throughout the world are varied and interesting. 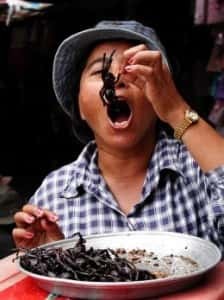 Some cultures enjoy foods that others would simply never eat! Like fried spiders for example. 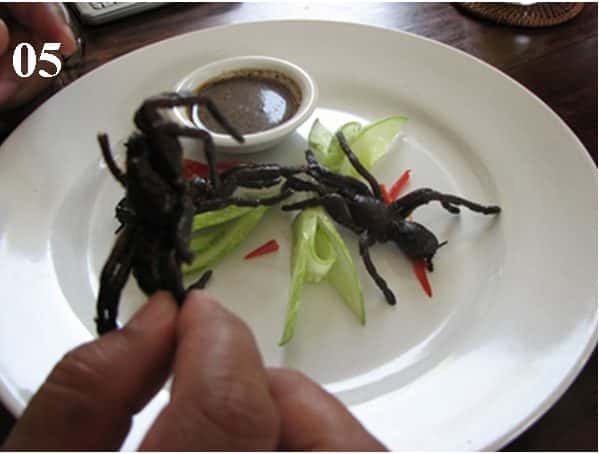 Fried spiders are considered to be a delicacy in Cambodia and many people love a fried spider snack. Can you see yourself having a Fried Spider Snack instead of popcorn next time you are at the movies? It would certainly be a change from popcorn or your usual favourite snacks! 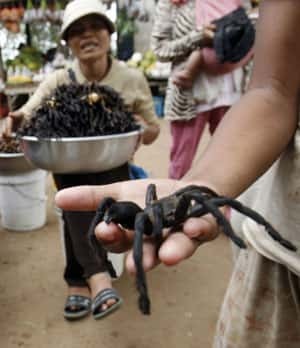 Would you try it if you had the opportunity? Personally I like to try foods from all over the world but I'm not so sure about this one!